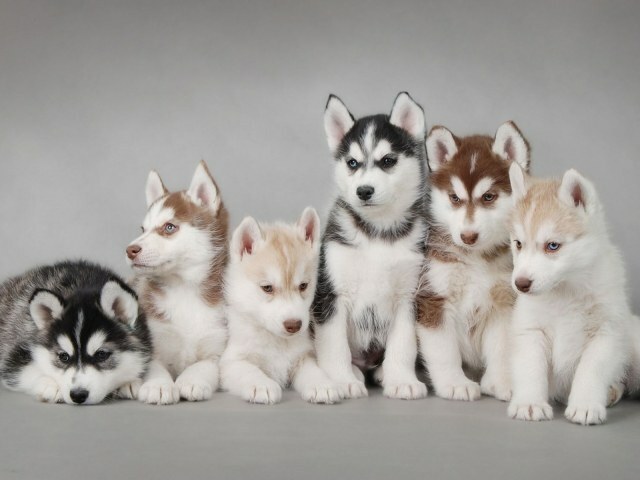 The owners of Siberian huskies currently have positioned the offspring of their dogs as a rather expensive puppies. And no wonder - the breed is rapidly gaining popularity, but is not for everyone. Setting a high value breeders seek first, to provide puppy a good environment, and secondly, to maintain a tribal Fund. - assistance to the breeder in the care and education of the pet (called patronage). As a result, a puppy with the pedigree of the Russian cynological Federation (RKF), from parents who have not reached special heights in the ring, but it is appropriate standard, will have to pay from 20 to 40 thousand rubles. The amount will vary due to the above factors. For example, if a selection from two fairly average (in exhibition terms) dogs unexpectedly born very promising puppy, its value can increase dramatically. If the puppy has any defects (cryptorchidism, wrong color nose or eyes), its price will be reduced, despite the number of international Champions among his ancestors. But we must not forget that at the age of 2-3 months is difficult to predict what the dog will be in 1-2 years. Some conclusions can be made in advance, but it has also happened that the much-vaunted puppy, unfortunately, did not meet expectations. The price of a puppy from eminent parents, who won prestigious titles in Russian, and even more so for international exhibitions, can increase several times. Also increase the value if the dog born in the kennel, which had already managed to raise Champions, that is, the breeders successfully selected parental pairs, taking into account both pedigree and data of the exterior and working qualities husky. People who want to have a show dog which it will be possible to go to dog shows in the hope to win a prize, you will have to pay more - the price of a puppy can grow up to 100 thousand rubles. Often, this amount includes the so-called right of first choice when future owners have the opportunity to choose the most promising puppy from a litter. According to experts, the Siberian husky at a cost of almost do not affect eye color or coat color (except for the disqualifying defects, when the dog can not participate in exhibitions and breeding and breeding). It is necessary to remember that the puppy may eventually change, plays an important role and care for him. For any money no one can guarantee that it would be a world champion. Acquiring an adult dog, you have to be confident in its exterior, especially if she successfully participated in the dog show. However, in this case, you will have to pay the amount from 100 to 300 thousand rubles, depending on the pedigree and prospects of the animal. The same can be puppies from the country's most valuable lines or from imported parents. It should be noted that recently quite spread the myth that the Siberian husky is a direct descendant of the wolf. This legend has nothing to do with reality, trying to support unscrupulous breeders to unreasonably inflate the price of their puppies. The standard of this breed, bred by the Chukchi as sled dogs, was registered in 1932 in the United States. 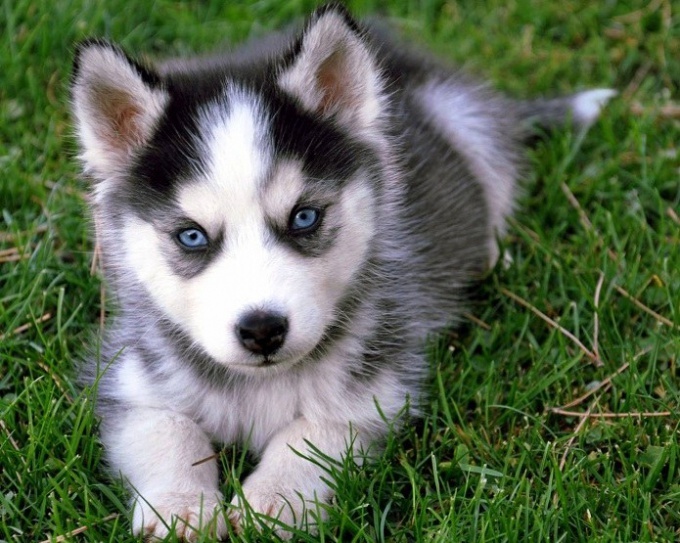 Husky recently become especially popular, as wanting to get a dog very like their appearance and extraordinary blue eyes, compact size, stamina and friendliness. But the acquisition of such a dog is a huge responsibility, and a lot of money. How many people came to me to buy a dog, given the characteristics of this breed! The result of such a rash step is that the dog market is quite often sold already adult dogs – they just didn't fit their owners who bought them only for an attractive appearance. Husky dog – serious, she gets along very well with cats and other breeds of small dogs, taking them for the object of hunting. Of course they will listen to the owner, the breed, representatives of which can take independent decisions. Best of all, when such dogs in the house a few, but if it is one you will have to pay her very much attention, since huskies don't like to be alone. The price of the puppy will depend on the working qualities of his parents. This means that the cost will be determined by the purposes for which you buy it. If you want to participate in a dog and, therefore, to participate in the breeding and selection work, the cost will be quite high, especially if you buy an adult dog with awards at international exhibitions. In this case, the cost will be about 100 or more, especially if it is imported from renowned manufacturers. The only option to buy a purebred husky is the acquisition of an adult dog, which refused to the owners due to the specific features of its content. Working dog, which is expected to harness a team and participate together with her in the race, will also cost thousands of dollars. Even if you just buy a dog as a pet, less than $ 600-1500 dog with a good pedigree, you do not buy. Of course, you can see in the Internet ad about puppies husky for 5 or 10 thousand, but you have to understand that grown all the rules of puppy cost so much just can't. Buying a husky puppy at a low price is fraught with health problems and the presence of worms. In the price includes the contents and the preparation of females to mating, their nutrition care during pregnancy, childbirth and nursing the puppies, their content, paperwork and vaccinations. If all this is to do it as it should be, the resources were considerable. In addition, when you think that the price of a few thousand dollars for a dog is too big, you should understand that the content of pedigree dogs will also be you can't afford. To raise a puppy to a healthy and physically fit dog, the relevant breed standards, it will be necessary to spend for its maintenance for a minimum of 2 thousand rubles a month.